It’s no secret that we believe in Reincarnation. Although this continuous births, deaths, and rebirths can become quite annoying, there certainly are some magical moments throughout our lifespans. One of these magical moments one can live is to meet again with a person you already met. 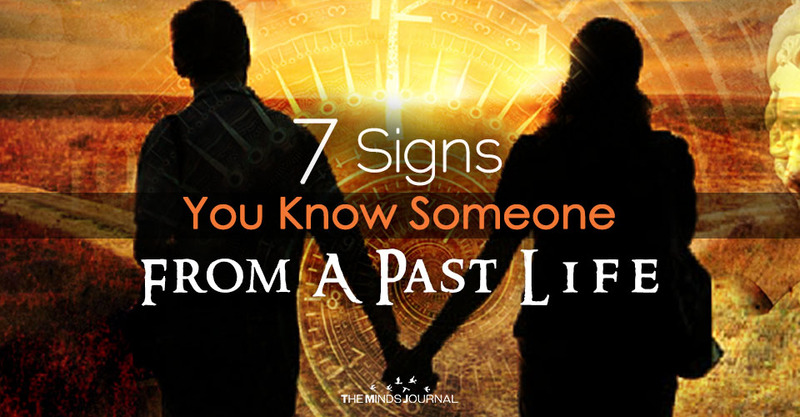 To Know Someone From A Past Life is an experience so overwhelming that can lead you to unpredictable life changes. Although it seems quite romantic, I have to tell you, that when someone like this comes in your life, is like a warning that a karmic storm is approaching. Throughout our lifespans, we are ‘tested’ with new experiences so that we can evolve in the spiritual plane. When we ‘fail’ to learn these experiences, Karma brings us the same ‘essence’ in different and usually harder experiences. Therefore, Karma might have to employ people you’ve already know and connected to make the message clearer. If know believes you Know Someone from a Past Life, you should try to figure out what messages do this person brings! It’s like you are two different magnets, wandering around this planet. When you are close enough the magnetic field is getting stronger which automatically brings and binds you together. Have you ever felt this? Good, that’s the first step! You may usually feel confined or even socially awkward, but this person effortlessly breaks down your ‘defense mechanism’. As the name suggests, déjà rêvé is the state in which one person has the feeling that an actual experience was dreamt in the past. The déjà rêvé experience differs from a precognitive dream. While the latter refers to a dream that we interpret as a sign for a future event (and we can assure its validity afterward), déjà rêvé is the spontaneous sense that what we have dreamt before what we are now experiencing. In other words, when you have this weird sense that all you experience – especially the very first moments of your relationship – are parts of a dream you’ve already seen, it gets serious. This ‘dream’ may actually be a memory of the ‘Akashic Archives’, where all information of life is stored. We actually get a glimpse of the life that is about to begin, right before our birth. In this glimpse, we see some of the people and events that can change our life. Déjà Rêvé is actually a memory of either past life or reading the Akashic Archives. One of the most classic Signs You Know Someone From A Past Life, is when you feel that you actually know this person. No matter who this person is you are actually capable of reading his/her mind effortlessly. You intuitively know what this person likes or what this person despises. This, of course, happens because you’ve already ‘tested’ this person in past life (or lives) and you can tell how s/he is going to react in similar stimuli.